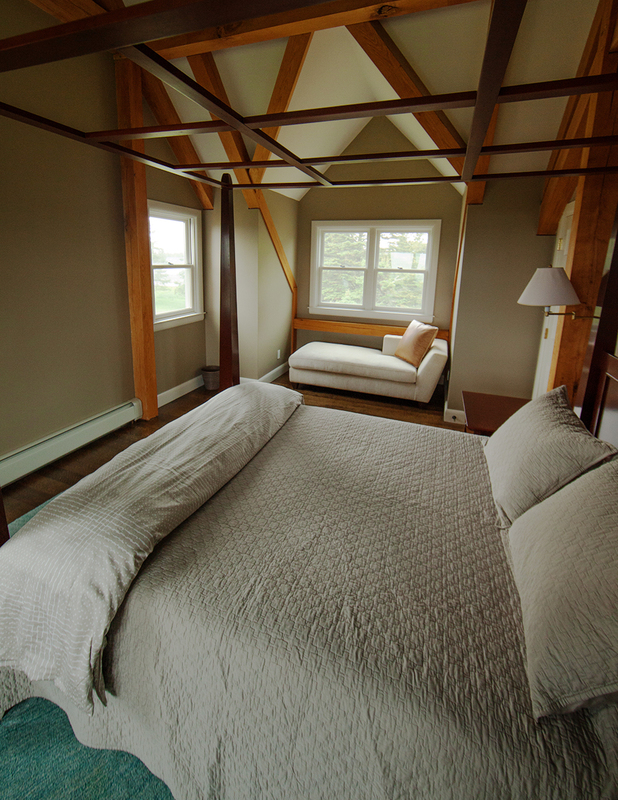 The Turner Farm Guest House is now available for rent. 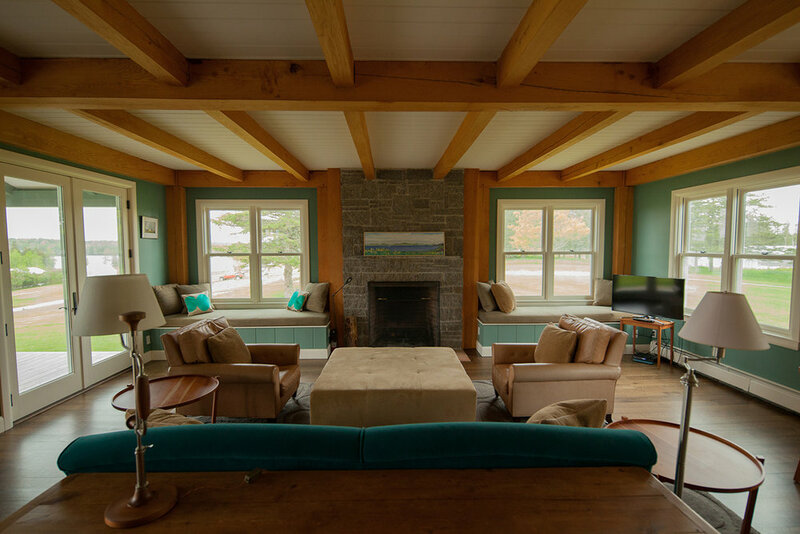 The recently renovated home sits at the top of a beautiful hill overlooking the farm fields, featuring gorgeous ocean views of the Fox Island Thorofare. 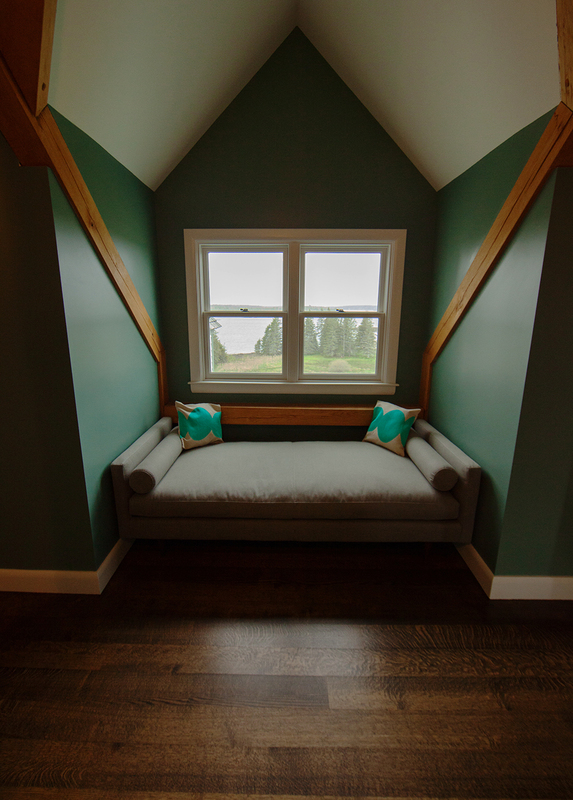 Upstairs you will find a cozy reading nook, two large bedrooms—each with their own bathroom—and one small bedroom with two twin beds adjoining one of the large bedrooms and its bathroom. The downstairs features the kitchen, a large living room with a fireplace, and a spacious, covered porch with ample seating and a charcoal grill. Guests are welcome to walk the farm and enjoy the long stretch of beach. 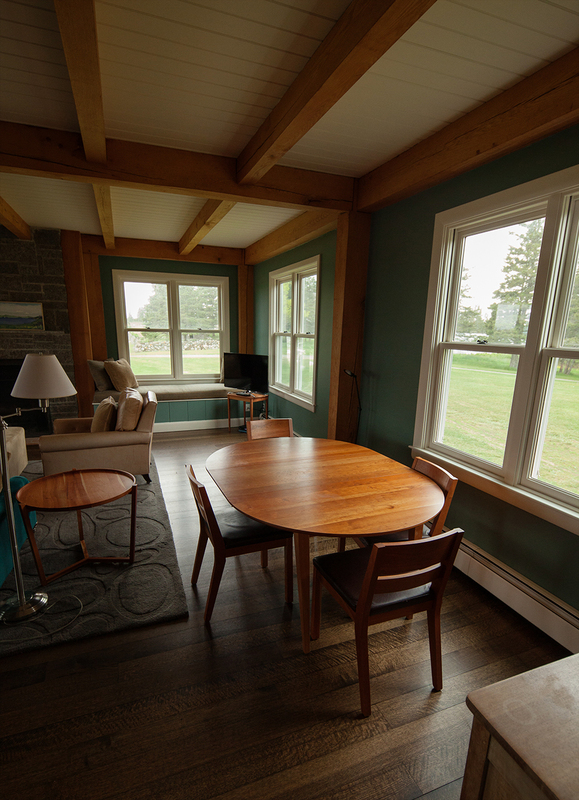 The Guest House is a great place to gather with family or friends to enjoy the lively summer months on North Haven, or for a quieter visit to the island in the spring, fall, or winter. The Guest House rents for $3500/week or $700/day, plus tax. Weekly rentals are required in July and August but shorter stays are available in the off-season. Email rentals@turner-farm.com for availability and booking. We are also renting the Guest House's attached one-bedroom apartment. The apartment's first floor has a quaint kitchen and living room with ocean views. 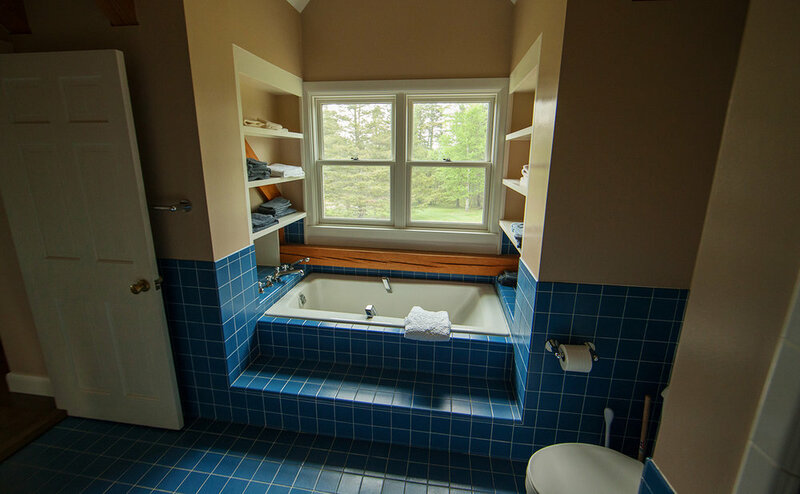 Upstairs, you'll find a large bedroom and bathroom. The apartment has a separate entrance from the main guest house, but shares the far end of the large covered porch. Weekly rentals are required in July and August, with shorter stays available in the off-season. The apartment rents for $1250/week or $300/night, plus tax, or for $1000/week or $275/night if you are also renting the main house. Email rentals@turner-farm.com for availability and booking.